At the MWC 2012 among crowd of various Mobile sets launched, the Sony Xperia P is one of the exclusive brands that attracted attention of the spectators. 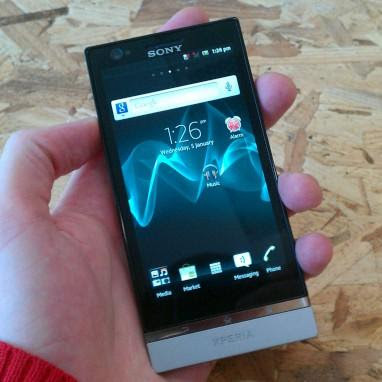 In design Xperia P is quite different from Sony Ericsson Xperia Arc. Though body of the phone made with metal provides the feels like plastic like too. However, its plastic section at the bottom has antenna tech that helps in performance and speed wise in the phone. Screen of the phone too is very good and nice. The White Magic Screen is provided with Bravia Reality Display has been made to backlighting the screen to make it visible in any situation. The 4” screen has about 540X 960 resolution screen. The phone has dual core 1 GHz processor and is powered with Android 2.3. It is planned to be updated with Ice Cream Sandwich till late this year. The timings for the camera are also very nice in the phone. With working for an Internet browser there was always problem relating to it. Texting to phone also turned out to be not an easy task while correcting out the mistakes. The phone with reasonable pricing suits very well for the speedy snappers, clear display and solid make.